implementation is simply a drain on the one resource you can’t get back: TIME. Hospital Wireless Network managers are under increasing pressure to allow for BYOD and those that have not yet implemented a “plan of action” are hearing questions about when they will. 1. Risk doesn’t have to increase because it’s a personal wireless device. So, you’re totally wiggin’ out about HIPAA, compliance and anything else that makes you sweat from a legal standpoint when talking about wireless devices operating under a BYOD policy. Sure, it’s easy to sit here and say, “Trust me...” when you’ll do anything to hang on to that executive position you worked so hard to climb into. Well, don’t let all that paperwork on your desk clutter your thoughts about technological advancements that have been made to allow BYOD on wireless networks more secure than anyone might have expected. Concerns abound regarding the fact that these wireless devices don’t “plug into” your infrastructure. Having your IT Staff put their hands on them or even log into them is going to be next to impossible if you have more than a few staff members with their own personal mobile devices. Some of the more advanced features that can be added to strengthen BYOD, like Mobile Device Management, can include the ability to prevent cameras from operating on those smart devices, further mitigating risk at your hospital under any BYOD policy. 2. Staff need to be working on something other than their social media status. Speaking of the staff, there might be some concern amongst the leadership trying to implement a BYOD policy, that staff members would be too busy posting a status update when they should be checking up on patients. First, here’s hoping you don’t hire a person like that in the beginning. Second, if you don’t want to allow staff to access certain applications while they are logged into the hospital wireless network with their own devices, that can be done. By creating or utilizing the “roles” of employees, you can give certain permissions to segments of your employees while providing additional access to another group, say company executives - all on the same network via the exact same access points. 3. Permission slips aren’t needed anymore (well, maybe from your personal physician). As a staff member with a strong interest in “being connected”, there’s nothing more inviting and pleasing than walking into my office knowing what my limitations are with a BYOD Policy. No need to stop by the front desk and ask for a Pre-Shared Key that 1,008 other folks have used in the past month (You want a security risk? There’s one! 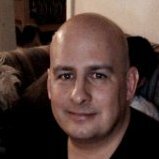 Pre-Shared Key? How do you know who was doing what while accessing your wireless network system? SCARY!) As an employee in a hospital, I wouldn’t want to share my wireless access with another employee. And I certainly would NOT want to have to bother the front desk for that “permission slip” to access the internet or check my email every day. 4. Your IT Department wants to KISS (Keep It Simple, Silly). The scenario above is totally plausible (let me go on record though and say I would NEVER ask for internet access if a trauma patient was being rushed into the Emergency Room) but if you could allow BYOD and make it as easy as possible for the staff member, patient or their family to log on securely and only access the things you wanted them to access. Two big words in any system configuration, “Allow” and “Deny”. Those settings can mean your IT Staff won’t have to come off of critical operational productivity to “touch” a device - much like freeing the same IT Staff from having to put their hands on every single doctor, nurse or staff member device. 5. Easy on, Easy Off. No longer are hospital staff members expected to conduct their work in one wing of the facility. People have never been more mobile with all the variety of wireless mobile devices, but what does that mean for someone who needs reliable connectivity from the Cardiology wing, clear across to the Women’s Center? It means they don’t want to have to authenticate their wireless device on each side of the hospital. 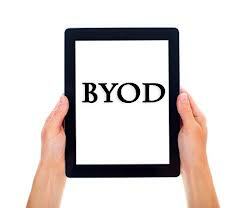 And when allowing for BYOD, it makes for a centralized device to carry all that sensitive data. Make it easier to stay connected all over the facility with one wireless solution that is intelligent enough to hand a wireless device off to the optimum access point for the best possible connectivity and making the physical transition from one building to the next completely seamless. 6. If you build IT (InfrasTructure), they will NOT come (to the support desk). 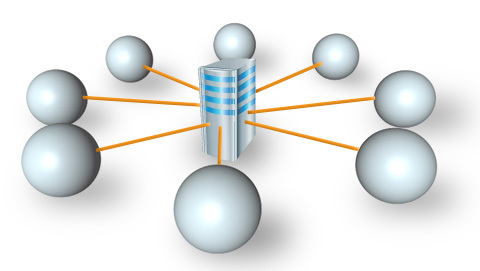 At the end of the day, supporting secure BYOD is all about your wireless network infrastructure. Most likely, the facility already boasts a really good foundation that does NOT need to be overhauled, saving you those critical last few dollars in your already stretched-thin budget. However, if your core infrastructure doesn’t have a solid foundation, you might not have very high expectations of wireless connectivity, hence the consumer-grade solution currently sitting in your office. The way things are trending, wireless mobile devices and the connectivity they require is only going to be more in demand. Some folks just aren’t aware of the high levels of security that are now the foundation of some current enterprise-level solutions that make BYOD possible. Free up that IT Staff to provide the necessary resources and attention to mission-critical operations in your facility. Know who is going where, when and how on your hospital wireless network. 7. Do not guess - visualize. Another cool feature about today’s secure wireless network solutions include the ability to actually see what is happening and where it’s happening on the wireless network. So, under any BYOD policy, visualization can take the guessing game out of where an issue might be occurring with a wireless device or access point. The indoor GPS capabilities of modern wireless networks can help you troubleshoot quickly and effectively, once again making sure your resources are operating at their maximum efficiency. These are just 7 examples of why a secure wireless network system makes perfect sense if BYOD in a hospital environment is something on your organization’s radar. If you would like to learn more about how you could build or improve upon your current wireless infrastructure, contact us here. Securedge Networks has helped many hospitals in the design and deployment of a secure wireless network. Connect with us and see what we can do for you!